Listen to my interview with Robert Kellemen! 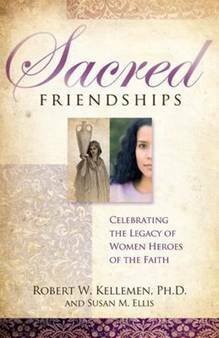 Last week I had the privilege of interviewing Robert Kellemen, co-author of Sacred Friendships: Celebrating the Legacy of Women Heroes of the Faith on my blog talk show. Robert Kellemen served for over a decade as founding Chairman of the Master of Arts in Christian Counseling and Discipleship (MACCD) Department at Capital Bible Seminary. 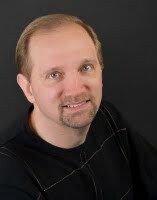 He is now professor of large at that department and the founder of RPM Ministries. What I enjoyed about the interview, and what I’m sure many will enjoy about the book, is that Kellemen addresses the issue of female Christian heroes in a way that transcends the traditional egalitarian/complementarian divide. Although it seems to me that Kellemen is a complementarian (meaning he sees prescribed gender roles in the family and church) what is also clear from the interview is that Kellemen also feels that women have been wrongfully silenced due to poor theology and a patriarchal culture. The subject of women in ministry is of no passing interest to me. When I attended Christ for the Nations Institute, I sat under the teaching of Dr. Eddie Hyatt, a preacher and teacher on revival and women’s issues. In Hyatt’s writings (along with that of his wife Susan Hyatt), he makes a compelling argument that in every genuine revival in church history, the status of women is always elevated. Eddie and his wife are some of the chief proponents of egalitarianism (which rejects the notion of prescribed roles for women) today. Due to Eddie Hyatt’s influence (and not to mention the plethora of women preachers in historic pentecostalism), my theology over the years has tended to flow in the direction of egalitarianism and I’ve tended to–wrongfully I think–equate the complementarian view with sexism. Robert Kellemen has effectively shattered that stereotype for me! Judging by the book and the interview, it’s clear to me that Robert Kellemen makes essentially the same argument that Eddie and Susan Hyatt write about in their books–that women are a crucial key to any genuine move of God–and they need not be silenced! Wait till you hear Kellemen’s response to when I asked him tongue and cheek “Are you trying to emasculate us men?” Kellemen’s reply was very revealing. And for that, you’ll have to listen to the interview. And when you finish with the interview, don’t forget to pick up the book. Regardless of what side of the egalitarian/complementarian divide you find yourself on, I think you’ll find the profiles of women Christian heroes throughout history fascinating! I thought the blog could use a little something light-hearted. Perhaps we can learn something from these squirrels? My mom forwarded this to me this morning. It reminds me of the time when I was a young boy and my dad used to have a computer portrait stand at the flea market on the weekends. There was a young girl that hung out at the flea market every week, and she just loved to visit my dad’s stand. My dad could tell that she was poor by the way that she dressed, so one day he bought her a new pair of shoes and told her that every time she looks at her shoes, she should remember that Jesus loved her. I was watching! I’m getting ready to be a parent, so this is a good reminder. what you are doing as you do, not as you say. give to those who don’t. hurt, but it’s all right to cry. cared, and I wanted to be everything that I could be. BUT THINK THAT NO ONE EVER SEES. LITTLE EYES SEE A LOT. influences the life of a child. sending this to someone else, you will probably make them at least think about their influence on others. Is CPT the new face of global missions? I’m trembling as I write this one. Not because I don’t feel strongly about what I’m about to write, but because I’m already isolated within my own faith community (Pentecostalism) for my unorthodox views on war and peace; and I know that what I’m about to write may put me at odds with a lot of people in the progressive evangelical community—a community I’m just getting used to. In addition, there’s always the fear of being misunderstood, so regardless of whether you agree or not with what I’m about to write, know that at least it’s my aim to speak the truth in love. So here goes. I love Christian Peacemaker Teams. I especially love their motto, “What would happen if Christians devoted the same discipline and self-sacrifice to non-violent peacemaking that armies devote to war?” I wish every Christian on the planet would ask themselves that question. I have nothing but admiration and respect for full and part-time CPT workers that live out that motto every day. 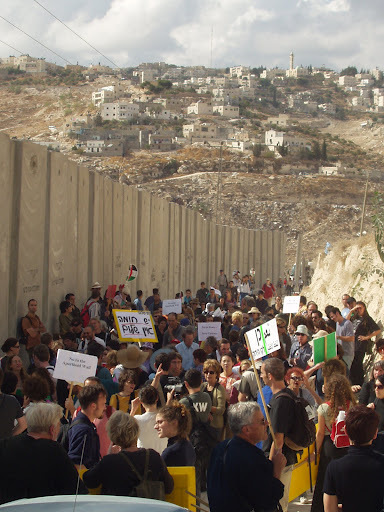 When I went on a delegation with CPT in October 2007 to the West Bank, it radically changed my life. So why am I conflicted about CPT? It’s not that I don’t believe in the organization. I do. Nor is it because I necessarily disagree with their anti-proselytizing policy. I understand that every organization has it’s own purpose and mandate. The reason why I’m conflicted is because I’m concerned about the implications of progressive evangelicals continuing to promote CPT as a new face of global missions. As a long time evangelical missionary and a recent convert to non-violence, I find myself caught between two worlds. On the one hand, I move freely in circles that “pray through the window” and map “unreached people groups” (ethnic groups that have yet to embrace Christianity). On the other hand my devotion to peace and non-violence cause me to move in peace circles—many of which are comprised of theologically liberal Christians. Never was this more obvious than when I was on the CPT delegation. It took all of about two hours for everyone in the group to realize that I was the “evangelical” in the group. When I was asked to describe myself, I shared with the group honestly about what I had been doing over the past several years—traveling the world and sharing the gospel. For the most part, the group was respectful, but there was the occasional anti-missionary remark that reminded me of my minority status within the group. Throughout the week, I had many discussions with individuals in the group about why I believe that Jesus is God and why I don’t believe that all religions are equal paths to the same truth. Because I was the odd man out in the group, I left that week thinking that Mennonites were mostly theologically liberal. It wasn’t until much later that I befriended some Mennonites and discovered that Mennonites are mostly theologically conservative—which is one of the reasons why I’m so concerned. If a Biblically orthodox denomination continues to send its young people to CPT to experience a “new face of global missions”, how many of these young people will eventually jettison their Biblical orthodoxy? My concern isn’t just about conservative Mennonites and their ongoing relationship with CPT, but with the progressive evangelical movement at large. I wonder if in our sincere efforts to promote peace and tolerance between people of different faiths, we’re becoming more “progressive” than “evangelical?” I wonder if our zeal to be good stewards of God’s creation has dampened our zeal to evangelize the lost—as if Jesus would have approved of a carbon footprint exception clause to “Go into all the world and preach the gospel to every creature.” I wonder if we’ve gone too far in laboring to share physical bread with the masses that we’ve neglected to share the “Living Bread” with the masses. MOGADISHU, SOMALIA (Worthy News)– Islamic militants have shot and killed a long-time underground Christian in Somalia after finding Bibles in his possession, BosNewsLife learned Sunday, September 20. Well-informed Christian news agency Compass Direct News said 69-year-old Omar Khalafe was killed by al-Shabab fighters Tuesday, September 15, at a check-point near the port city of Merca, 70 kilometers (45 miles) from the capital Mogadishu. Shalafe carried 25 Somali Bibles he hoped to deliver to an underground congregation, Christians said. “By 10:30 a.m. he had arrived at the checkpoint controlled by al Shabab, a rebel group linked with al Qaeda that has taken over large parts of the war-torn country,” said Compass Direct News, which has close contacts with Christians in the region. “The Islamic militants found 25 Somali Bibles in one of the passengers’ bags; when they asked to whom the Bibles belonged, the passengers responded with a chilled silence. The militants found several photos in the bag and saw that the elderly Khalafe resembled a face in one of them,” source was quoted as saying, speaking on condition of anonymity because of security concerns. “They asked Khalafe if he was the owner of the Bibles; he kept quiet. They shot him to death,” the source said. Al-Shabab, has campaigned to establish Sharia, or Islamic law, throughout Somalia and to topple the government. Shalafe’s was the latest in a series of incidents against the Christian minority in the lawless nation, Worthy News and its partner agency BosNewsLife established. Last month, the group killed 41-year-old Ahmed Matan in the Bulahawa area, near the Somali border with Kenya, for converting from Islam to Christianity, several Christian sources told Worthy News earlier. In July al-Shabab militants beheaded four Christian aid workers for refusing to renounce their faith in Christ. Fatima Sultan, Ali Ma’ow, Sheik Mohammed Abdi and Maaddey Diil after kidnapping them on July 27 near in Merca, Christian advocacy groups said. It has become increasingly difficult for international peacekeepers to prevent these attacks. On Thursday, September 17, at least 21 African Union troops, including the mission’s deputy commander, were reportedly killed in suicide bombings at military headquarters at Mogadishu airport. Al Shabab said it had carried out the attack “to avenge the death” of one of its leaders. The rebel Islamic group has also threatened neighboring Djibouti that a similar fate awaits its troops should they be sent to Somalia. The country has been without an effective central government since President Siad Barre was overthrown in 1991. Years of fighting between rival warlords and an inability to deal with famine and disease in Somalia are believed to have led to the deaths of up to one million people. The call to hunt Christian launched at local mosques after the Friday prayers on September 11, 2009. The mob stormed and set fire to the church, ransacked two houses. Muslims accuse a young Christian Robert Danish had desecrated the Quran. 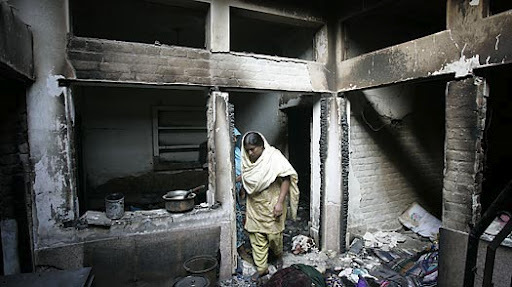 A church burnt by a mob of angry Muslims, who attacked Christians for a new- alleged- case of blasphemy. This is what happened in a village Jaithikey, around 20 kilometers from Sialkot, Punjab, where the Christian community has targeted by Islamic extremists. The extremists were protesting against the desecration of the Quran by a young Christian around 12:30 local time, a Muslim mob gathered and damaged the buildings then set it on fire. The extremists also looted two houses adjoining the church. The young man was accused of teasing the girl and “throwing away the Quran had in her hands”. No one can agree with the idea that Muslim women might fall in love with a Christian man. It’s clear that utterances against the Quran are just lame excuses to attack Christians. Christians are increasingly persecuted by Islamic fundamentalist. Robert Danish was arrested under section 295 B on September 11, 2009, Vide FIR # 1176/207/09 on Sambarial police station on complaint of Mohmmad Asghar Ali resident of village Jaithikey. He accused that Robert Masih to push her daughter Hina Ali who was coming home after Quran recitation and he took Quran Supare from his daughter and threw it in drain. In that village 40 Christian families are living with Muslims over a century with harmony and peace. He was produced before the local magistrate and sent to judicial custody in Sialkot central jail where he was killed. According to his family and relatives they don’t believe the fabricated story of Jail authorities about committing suicide. He was torture so badly, there were cuts on his forehead, wrist, legs and neck. He wasn’t coward as he himself present to police. His father refuse to have funeral inSialkot, they strike against the police officials along many Christians and they were baton by police and gas shelling being used to scatter the Christian mob. Finally they were not allowed to burry him in the village. This incident was plotted by a local Muslim Cleric who hangs banners during Gojra incident to “Kill the blasphemers”. Such people are funded by foreign Jihads organizations. In fact Taliban has already threat to strike Punjab’s main cities. As whole world know that these fundamental organizations were involved in the Anti- Christian attacks in Gojra in the beginning of August where several people were killed. Increasing violence against Christian under blasphemy has created fear among 20 million Christian in Pakistan. With 18 Christians accused of blasphemy and seven towns had been attacked this year so far. Muslims are misusing the blasphemy law to torture Christians without fear of any punishment after the violence in Korian and Gojra, there is a real risk of a new massacre against the Christian community in the name of blasphemy law. There was great weave of anger and grief among Christian of Pakistan after the accessnation of Robert Danish. BEM have strongly condemned killing of innocent Christian and demanded to arrest the killers. More then 35 Christian families are still compelled to live out side the village as Muslims usurp their homes. No Christian is allowed in the village even visitors. There are reports that some Christian being torture by Muslims who went to see the burnt homes and Church. Please pray for these Christian people who became homeless. Their children are missing classes which is unbearable loss of their lives. They have to get admissions in new schools and get new books and uniforms, which is pile on the agony. Please remember Christian of Pakistan in your personal prayers especially victim of Jaithikay. They deserve your moral and spiritual support in this difficult time, as they face the frustration of Muslims regarding 9/11 on the same day. May God bless you abundantly as you bless them with your prayers. In the current partisan debacle over health care reform, there’s been a lot of misinformation on both sides of the political aisle. As a Christian, I believe that facts matter, and that no matter how devoted one is to his or her political ideology, ideology should never trump truth. And neither should Christians distort facts to fit their prejudices. For this reason, I’d like to recommend the website www.factcheck.org. I’ve monitored this site over the past year and I can truly say that this is the only website that I know of that holds both parties accountable. Here’s to hoping that this post will introduce some sanity in this debate. No, Republicans do not want to privatize medicare. Both sides need to be held accountable to the facts. Below is reposted from PCPJ’s blog. The Christian woman who owned the rent house, whom I know very well, dealt that young black woman a race card. The ~owner~ played the race card in this transaction. So now the young black woman, unfortunately and through no fault of her own, can’t rent the home and of course wonders if the house is really rented. This happens repeatedly, even though it is illegal (thankfully), and in my experience it is common knowledge in African-American, Latino, and other minority communities. It is also common knowledge among those who rent homes; at least it was in Texas where I often heard it from landlords (and realtors) who didn’t know me very well. So I cordially ask, as a male of European descent, where are all those thousands of race cards coming from? Who dealt the race cards in the 1600s, 1700s, and 1800s when only land owning white males could vote and pass on inheritance? Who dealt the race cards in the 1900s when the KKK lynched African-Americans by the hundreds and it took colossal efforts just to pass voting rights acts and try to limit and end discrimination in housing and employment? Millions of race cards have been dealt by those of us who were experts in making and printing them – white people have been in power in this country for centuries and we have manufactured race cards by the millions. The race card game is ~our~ game. Then, when a person of color dares to suggest that perhaps they were discriminated against because of race I hear of chorus of white people saying, “How dare they play a race card!” Well, sisters and brothers, they have stacks and stacks and stacks of them that they’ve been given. They just store most of them in the closets, garages, and attics of their souls and we white folks never hear a word about them. But every once in a while the wrong colored hand puts the card on the table and it makes those of us who thought we had a monopoly on the cards, a corner on the market, squirm with discomfort. It is possible that a person of color might think they’re discriminated against when they aren’t – this just seems to be an obvious possibility to the non-Anglo friends that I’ve talked to – but that’s another deeply destructive aspect of the race card game where so many white folks have handed out so many race cards over the years. How is that young black woman to know whether she really got a race card handed to her from that landlord or whether she’s being overly skeptical? If she thought, “I’m just too skeptical,” she was wrong.